In February 2018 my team placed 3rd (out of 13) at the One Club for Creativity Creative Bootcamp in Los Angeles, CA. During Creative Bootcamp, each team receives a client and a brief outlining the goal of the advertising campaign they need to create in 4 days. Our client was Starbucks, and the goal was to keep customers in the locations longer and win back their coffeehouse credibility. Our campaign was titled "Common Grounds," and sought to change the image of Starbucks as the fast-food of coffee into a place where customers went to get lost in a good book, create art, and make connections; because even though we are all different, we can find common ground. There would be 3 executions of this campaign, at a local, flagship and global level. 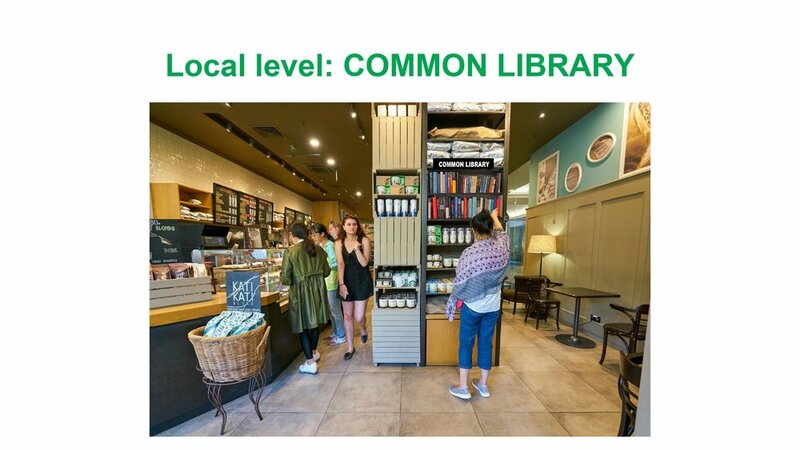 Locally, Starbucks would install store libraries with best sellers and classics, and encourage patrons to "leave a book and take a book." And partnerships with Buzzfeed to create buzz online and Audible to offer exclusive access to highly anticipated books while in store. On a flagship level, Starbucks would commission and art installation from an up-and-coming artist in select major cities. This piece would be partially created inside Starbucks to reinforce the idea that art and creativity blooms inside the coffeehouse. The artist will host open studio hours where patrons can watch he/she work and it will be broadcast via Facebook and Instagram Live. Once the installation is complete, it will be on display, then travel to other flagship stores. To reach customers globally, a "Common Grounds" podcast will bring together local creatives (and Starbucks patrons) and idols of their field for a conversation about art and the creative process. Imagine Annie Leibovitz having a conversation with an aspiring photographer, or J.K. Rowling talking to a writer working on her own novel.